McClary Hill Farm | Dedicated to fresh, organically-raised meats, dairy, poultry, eggs, and honey. Grown and raised in Epsom, New Hampshire. So…we opened a brewery! 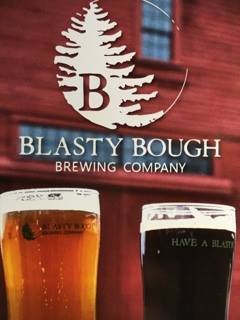 The Blasty Bough Brewing Company on McClary Hill Farm is open Friday 5-9, Saturday 1-9 and Sunday, 1-6. And the McClary Hill Farm concert series has evolved into the BlastyTrad Concert Series! Same great location, same great vibe, now with a farm-to-kettle brewery downstairs from the listening room. Just keeps getting better. Shows happen about once a month. Check out all our upcoming shows at the BlastyTrad page of the website. Come on over and #HaveABlasty! We are totally full for this wonderful show, and have started a wait list…If you would like to be added to the waitlist, send an email to Mcclaryhillfarmconcerts@gmail.com. Merry merry! 7:30 p.m. $15 suggested donation at the door. Taylor Whiteside; and noted Nashville strings man Jim Prendergast. A hallmark of the band is its eclectic repertoire of maritime, Irish/Scottish and ol’ timey songs and tunes, out of which the band weaves a rollicking, toe tapping, romantic, bitter-sweet and soul-soothing musical tapestry for the enjoyment of listening audiences in Northern New England. The homestead concert series at McClary Hill Farm features one hundred percent original and traditional music, artisanally crafted by free-range musicians. Warmth, vitality, and spontaneity mark the performances of Susie Burke and David Surette, and have earned them a reputation as one of the finest acts on the lively New England folk scene. Susie’s beautiful, complex voice and David’s graceful, nimble-fingered string playing combine with extraordinary results . Together since 1988, Susie and David have built a loyal following for their music, through a steady series of concerts and well-received recordings; their new duo recording, “Waiting For The Sun,” was released in the fall of 2015. Susie’s evocative voice has never sounded better, and is ably supported by David’s sparkling touch on the guitar and mandolin. 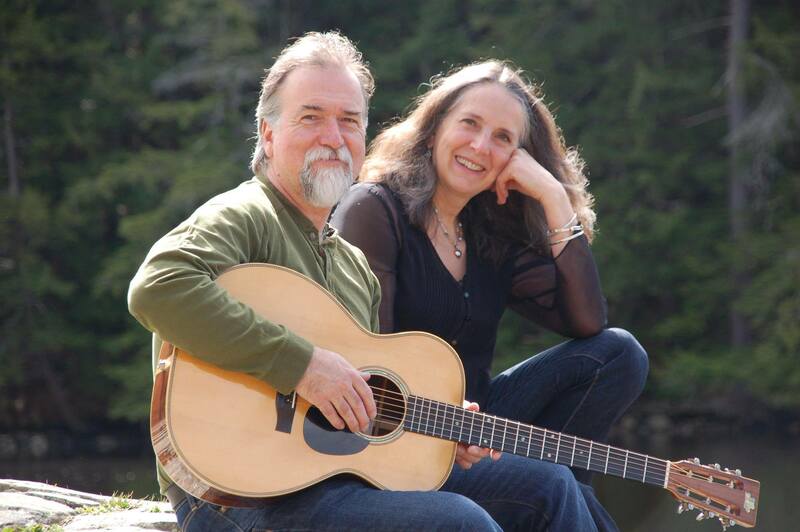 Come out for a great night of music at McClary Hill Farm, and see and hear what folk fans all over New England have known for years: Susie and David are the real deal. $15 suggested donation, 7:00, doors at 6:30. We’ve had three sell-outs in a row…and next up is Daymark, an international trio performing traditional Irish music infused with infectious energy, raw power, and Northern swagger. Fusing the talents of Will Woodson (flute, border pipes), Dan Foster (fiddle) and Eric McDonald (guitar, vocals) the group presents a classic blend of wind and string as driving flute meets virtuosic fiddle, underpinned by well-considered and expertly delivered guitar. Each member of the trio had carved their individual musical pathways and style from diligent listening and study, extensive travels, and numerous performances in Ireland, Scotland, England, America, and Canada before meeting at the Northern Roots Festival in Vermont during the winter of 2016. Over a long night of music, they discovered a natural and complementary fit of individual styles, as a well as a mutual interest in the same corners of the Irish tradition. Sharing a love for the music of generations past, in Daymark’s sound one can hear the echoes of Irish-American dance halls from the 1920s and 30s, alongside the lonesome tones of Donegal country fiddlers and the rollicking smoky pubs of Northern England’s immigrant neighborhoods. Taken together, these influences merge into a music that’s very much part of the present; it’s a sound that’s urgent and wild, held together by camaraderie that’s quite audible. This is the foundation of their music. What emerges is intimate enough feel at home down at the local pub, big enough to fill a festival stage or a concert hall. Come on over for a fine summer night of music! Make sure to RSVP to save your spot: Mcclaryhillfarmconcerts@gmail.com. From the stages of Prairie Home Companion and the Smithsonian Folklife Festival to our little listening room at McClary Hill Farm…we are thrilled to present legendary New England fiddler Rodney Miller with bass-and-banjo man Stuart Kenney and guitarist Max Newman: Stringrays! This will be a night to remember…and a memorable reunion. Turns out Lois and Stuart were best tree-climbing, bike-riding and music-listening pals back in the mid-70s and reconnected at Maine Fiddle Camp (yes, there was weeping.) This will be a great night of music and friendships made and renewed! 7 p.m., $15. Be sure to RSVP to Mcclaryhillfarmconcerts@gmail.com to save yourself a seat for this one! Putting a fresh spin on traditional Celtic music, the Jordan Tirrell-Wysocki Trio serves up a dynamic show full of foot-stompin’ fiddle tunes and classic Irish songs. Award-winning fiddler Jordan Tirrell-Wysocki is joined by fellow New Hampshire natives Matt Jensen on guitar and Chris Noyes on upright bass. $15 at the door. RSVP to Mcclaryhillfarmconcerts@gmail.com to be sure you get a seat!